How do you like to look thicker and bigger than you should be? With your belly suddenly getting larger and breasts feeling swollen. This usually occurs in women since they have a lot of spaces in between their cells to help make their body stretch during pregnancy. It usually happens during menstruation and also disappears after the monthly period. But unfortunately, fluid retention, as they call it, does not disappear. This may be due to some health problems. If this happens, especially if it stays more than a week or so, consult a doctor immediately. However, conventional doctors will recommend medicines that will flush out not only water from your system but also important minerals like potassium and magnesium. These are pretty vital minerals which help muscles contract and help your heart to beat. Alternative doctors will recommend natural means to flush out excess water from your system, surprisingly starting with the most natural substance of all which is water. Surprising huh? Why would they add more water when you already have too much after all? The explanation is that, when you are dehydrated, your kidneys try to conserve the remaining water in your system using fluid retention. That’s our problem right? So, our kidneys are actually preventing us from dehydrating by conserving water that’s why we get bloated. What to do? I suggest you should drink 8 glasses of water a day to prevent the kidneys functioning like water reservoir. 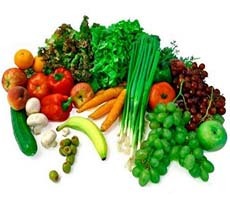 You may also try eating natural diuretics like parsley, celery and watermelon. You may also include asparagus, carrots, artichokes and alfalfa as well. Nature’s best identified diuretic though is the dandelion leaf. It does not rob your body of potassium. It’s advised to take 250 milligrams of dandelion extract three times a day. And the best alternative treatment for this is by having fun in the trampoline. Try bouncing to help stimulate the lymphatic vessels to help move and drain the fluids. The up and down movement will help the body get rid of excess fluid out of the body.